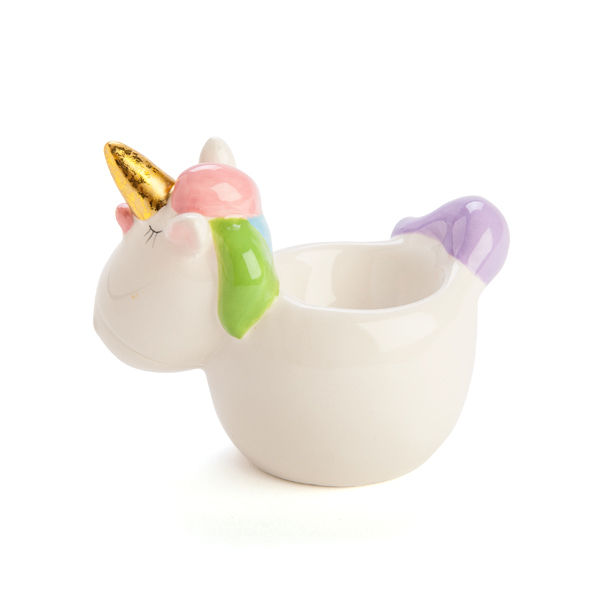 Unicorn Egg Cup | Enjoy your breakfast with a sprinkling of magic! Enjoy your breakfast with a sprinkling of magic! A popular treat for children of all ages! 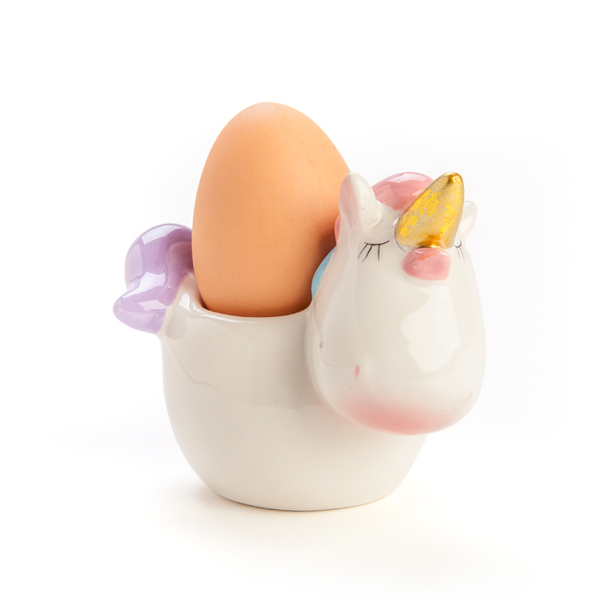 This adorable ceramic Unicorn Egg Cup features a cartoon looking, sleepy unicorn with a dazzling gold horn and rainbow features! Whether you like your eggs runny, hard-boiled or perfectly in between, your enchanting egg cup will make the experience magical. Your little one will love dipping into their eggs in the morning as they continue to dream just a little while longer! What a greay way to make the every day egg cup more enjoyable for kids at meal times, who said playing with food is a bad thing? A wonderful gift for your little ones at Easter, why not decorate an egg with glitter and display it proudly on the back of your unicorn! 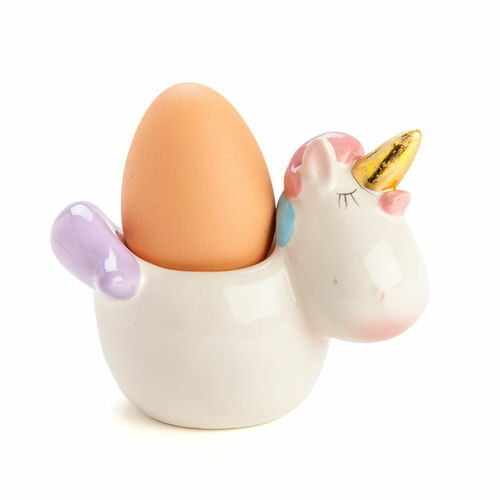 Please note: Your Unicorn has a shallow dish and will hold a small-medium sized egg, not an XL egg. 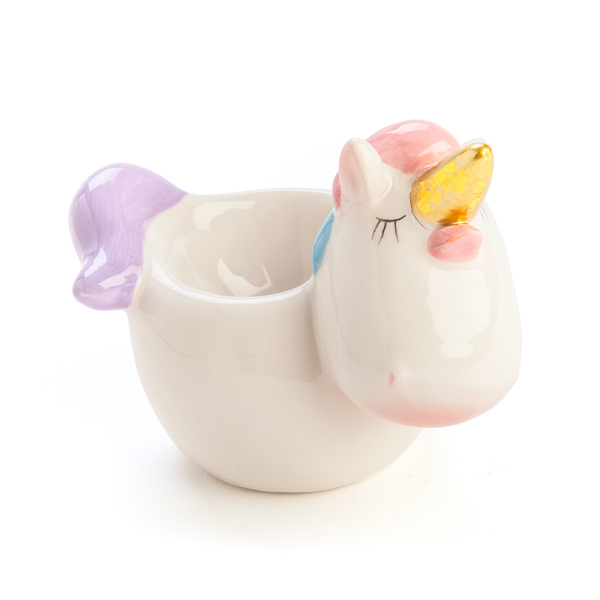 My daughter (4) loves all things unicorn AND loves dippy eggs for breakfast so this was perfect for her! The CUTEST egg cup EVER!